In celebration of the Hubble Space Telescope's 25th anniversary in space, this postcard was made out of a photograph taken by the crew of the STS-31 space shuttle mission on April 25, 1990. The Hubble Space Telescope was suspended above shuttle Discovery's cargo bay some 332 nautical miles or 615 kilometers above Earth. 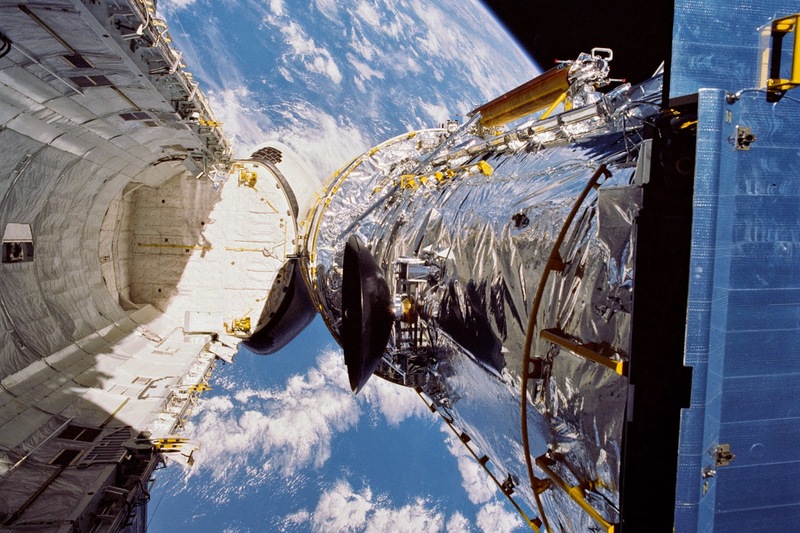 The Canadian-built Remote Manipulator System (RMS) arm, controlled from in-cabin by the astronaut crew members, held the huge telescope in this position during pre-deployment procedures, which included extension of solar array panels and antennae.